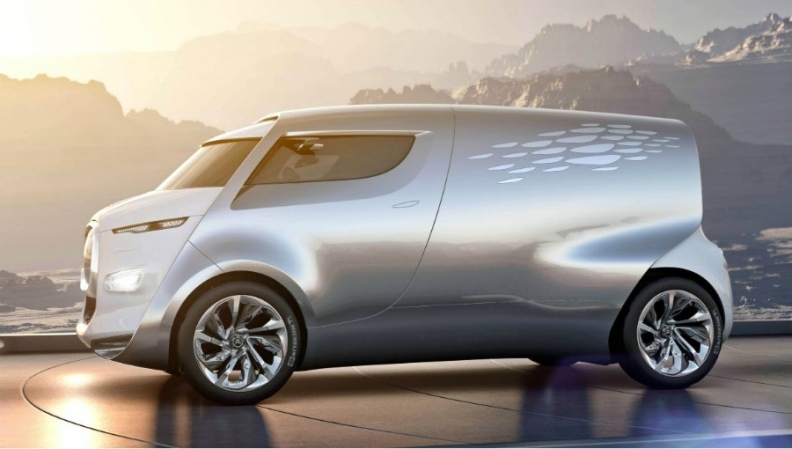 Citroen says the Tubik can comfortably carry nine passengers. FRANKFURT -- Citroen will present the futuristic Tubik concept, a nine-seat hybrid minivan, at this month's Frankfurt auto show. The brand says the study is based on the idea that travel should be fun. 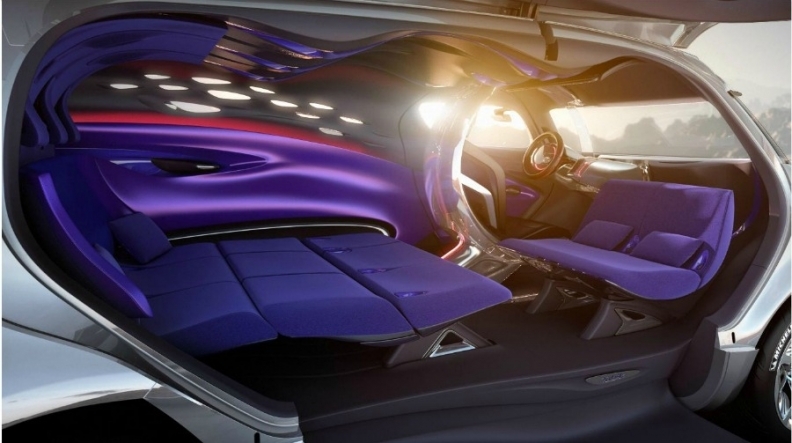 The concept offers passengers a lounge-style area behind the driving compartment, with modular seating that can be arranged centrally around a table or moved to take advantage of a large multimedia screen. 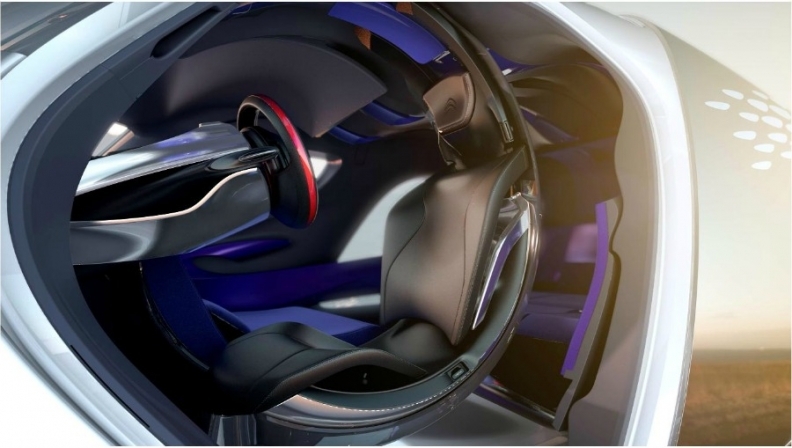 Ambient lighting and the use of leather and soft fabrics help to create a cocoon-like atmosphere ''dedicated to comfort and relaxation,'' Citroen says. At the front of the minivan, the driver sits in an area Citroen calls a 'cyclotron,' a system that groups the seat, pedal assembly, steering wheel and circular head-up display in one circular form. The Tubik's front end stands apart from the main body. The concept is powered by Citroen's Hybrid4 technology, a full-hybrid diesel drivetrain which maintains CO2 emissions at a level comparable to a conventional saloon, Citroen says. The drivetrain can be operated in four-wheel-drive mode, with the front wheels being driven by the diesel engine and the rear wheels by the electric motor. Citroen's Hydractive suspension technology has been used in the concept, which keeps the vehicle level regardless of load and lowers the vehicle automatically at high speeds to promote aerodynamic performance. The Tubik's driving position or 'cyclotron' as Citroen's designers have named it, features a fingerprint recognition system and a head-up navigation display. At 4800mm (188.97 inches) long, 2800mm (81.89 inches) wide and 2500mm (80.70 inches) tall, Citroen says the van can comfortably carry nine passengers plus luggage, which is stowed in a concealed hold at the back of the vehicle. 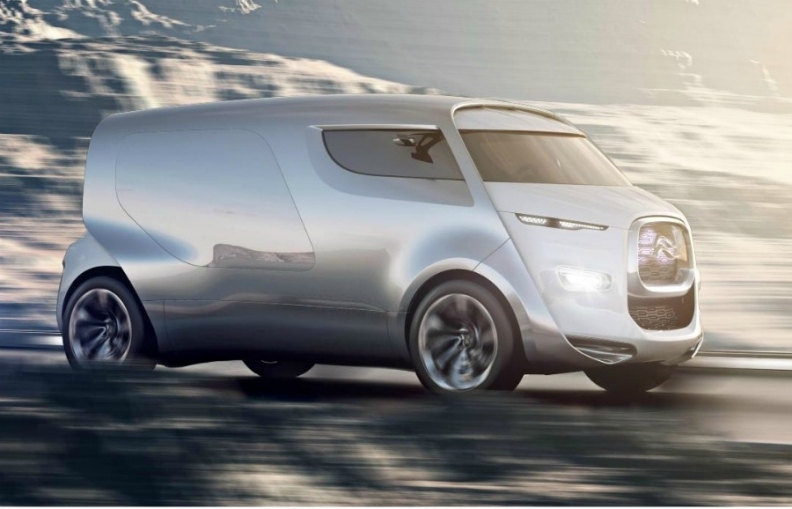 The Tubik will not be built, but it contains ideas that may be used in future Citroen vehicles. The cabin door opens upwards and allows easy access for large groups of passengers. Entry to the vehicle is made through two large doors with access to the driving position and the 'living area.' The large cabin door opens upwards and incorporates the entire side of the vehicle, offering easy access for large groups of passengers.